Canton was recently named among the most affordable places to live in Georgia. 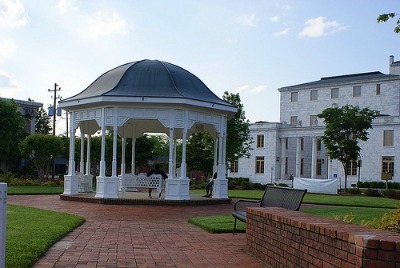 Canton was ranked number four among places in Georgia with a population of more than 10,000 people and included cities as well as Census Designated Places (a concentration of population identified by the United States Census Bureau for statistical purposes). This ranking placed Canton as the most affordable in the metro Atlanta area, followed closely by sixth-place Woodstock. “It is an honor to have Canton ranked as the fourth most affordable city in Georgia. This designation helps position our city as a desirable place to live, work and play. As we collaborate on additional ways to promote Canton as a covetable community with stellar amenities, the benefits as a low cost-of-living and cost-effective location for businesses only enhances our appeal,” said Canton City Council member Bill Grant. The ranking which was compiled by Movoto Real Estate and published on Movoto’s blog, was based on the cost of food, utilities and other items, median home prices, unemployment rates, and adjusted median income. Canton got its highest positive marks for the low unemployment rate and food costs. Canton also scored relatively well in the median price of homes at $174,900, considerably less expensive than number nine ranking Milton with a median home price of $462,700.